"A paper Book in 12mo. 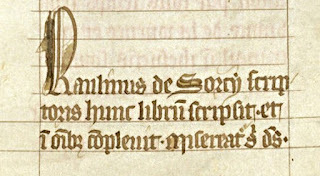 written as I suppose, by one of those Friers who, in times of Popery, used to inveigle people to saunter, & squander away their time & money in unnecessary Voiages to Jerusalem; leaving these Thieves behind with the Government of their Wives, Familes, & Estates; to their great Loss, if not Destruction. ..."
While in Los Angeles this summer I enquired of several local institutions about their holdings, and got a very helpful response from Emma Roberts at the Los Angeles Public Library, who sent me pictures and other information about their only medieval manuscript. 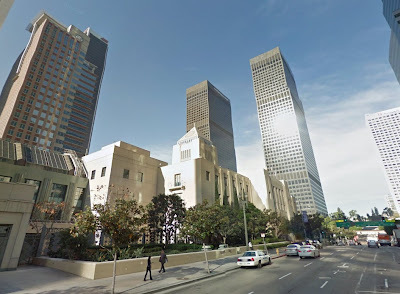 Before I left LA I was able to spend an hour examining and photographing it. 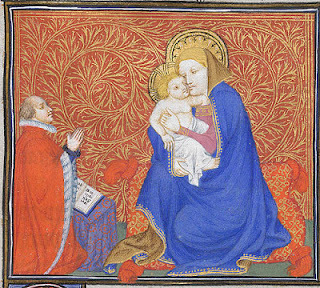 Four miniatures from a Book of Hours illuminated by Willem Vrelant and the Fastolf Master (now Paris, Bibliothèque de l'Arsenal, ms. 575), have recently come to light. 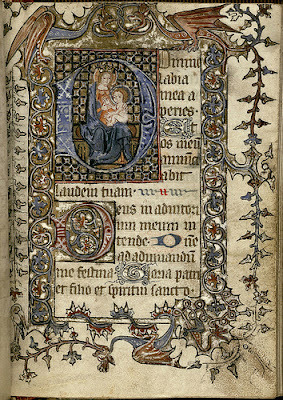 The manuscript was the main subject of James Douglas Farquhar, Creation and Imitation: The Work of a Fifteenth-Century Manuscript Illuminator, Nova University Studies in the Humanities, 1 (Fort Lauderdale, 1976). 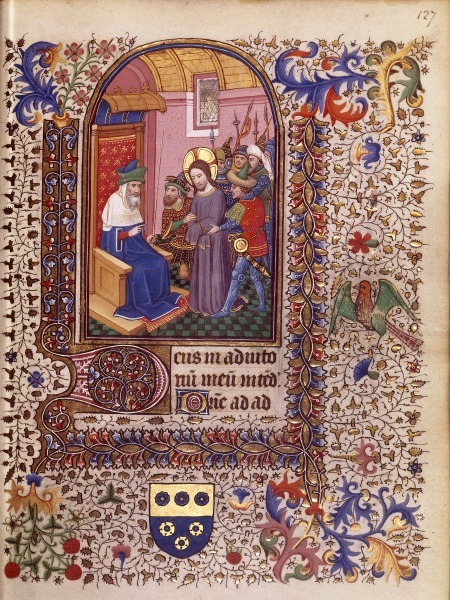 The manuscript was exhibited last year in the Flemish manuscripts exhibition in Paris. 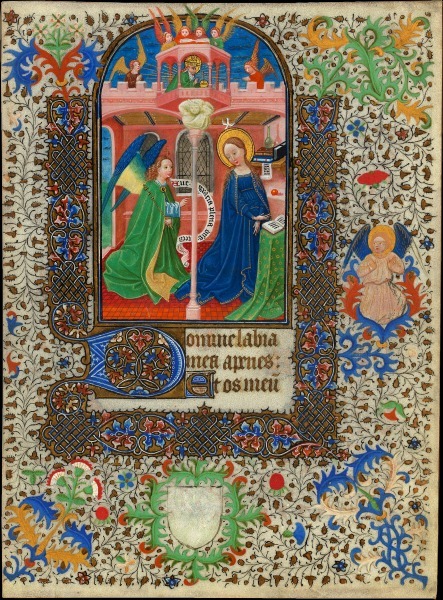 One of the few things missing from Erik Drigsdahl's excellent www.chd.dk website is a table for identifying Offices of the Dead of different Uses, comparable to his tables of Hours of the Virgin (he does, however, provide a list of the responsories). I have collected many over the years, especially non-Sarum English ones, but never had time to put them on the web. 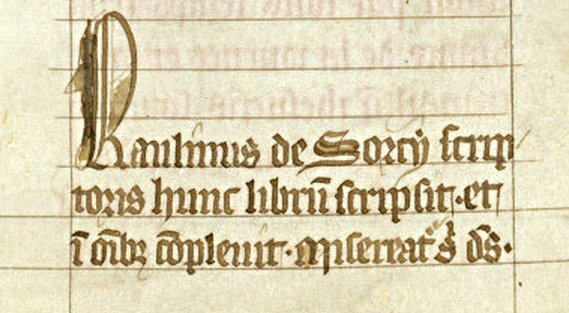 So, until I get organised to make a useful table, maybe I'll put some Uses up here individually, starting with Reims, from the Houston Hours. 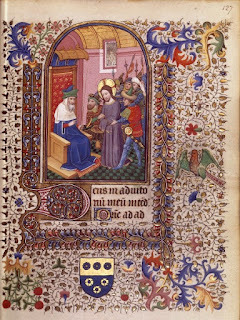 A full set of digital images have recently been made available of a Book of Hours of the Use of Reims, now in Houston. 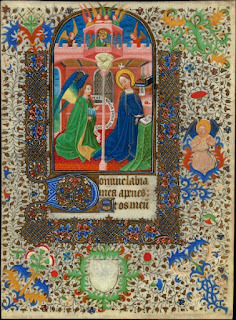 It was alluded to at the end of a list of Reims Horae by Jean-Luc Deuffic in 2007, on his Pecia blog, and has recently been blogged about at Houston. in omnibus complevit. Misereatur sibi deus." 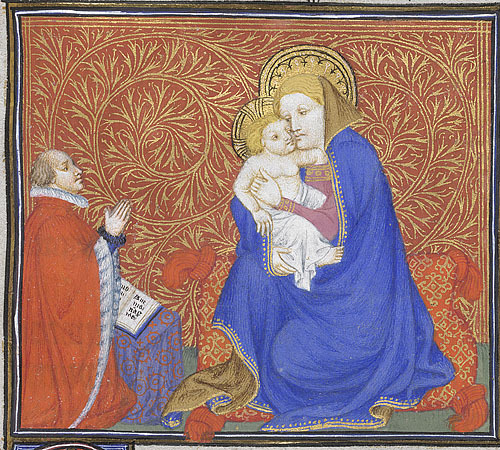 A Book of Hours Owned by the Duke de Berry?